Floor coatings when installed correctly will provide a clean professional look and will preserve the existing concrete of your facility. Costs will vary depending on what system you will need and what kind of floor preparation is needed. All coatings can have different slip additives also. 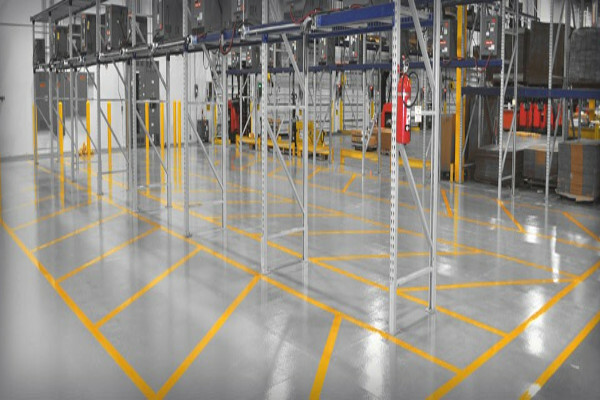 Read on to discover our diverse capabilities for warehouse floor coatings. Alongside of our concrete floor coatings, we also have the ability to remove any current coating you have in your facility and we have the efficiency to get it done in a timely manner. 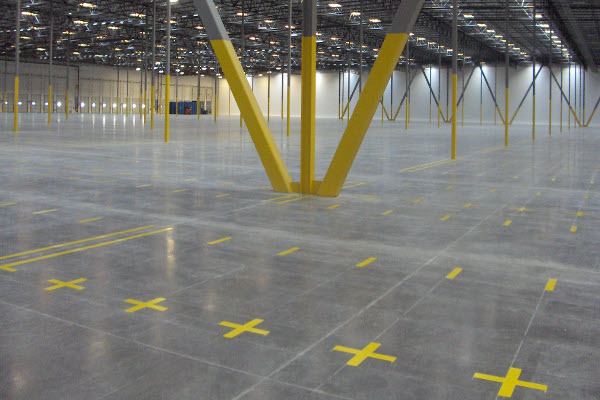 Our warehouse marking and warehouse floor coating services can be scheduled throughout the United States. If we cannot get to your area, our other locations can! We have completed numerous jobs in Columbus, Cincinnati, Erie, Pittsburgh, and Indianapolis, and we’re ready to help you with your floor coating needs. All types of markings have their place. Some are designed to be temporary and some are designed to be much more permanent. We have you covered with the ability to install all types and to properly prepare the surface for each. Most of the time contractors that only offer one marking type will try to emphasize why theirs is superior instead of giving the customer options. And if you would like to see what we do in action, be sure to check out our YouTube channel. We have been helping companies since 2003, and over the years, we have learned all that it takes to deliver top-quality results and be a competitive business in the industry. For every project we are presented with, we tackle it with the utmost efficiency and professionalism. We are confident that whatever your needs are for floor coatings, ProMark Contracting can provide. Learn More About Our Industrial Concrete Floor Coatings Today! 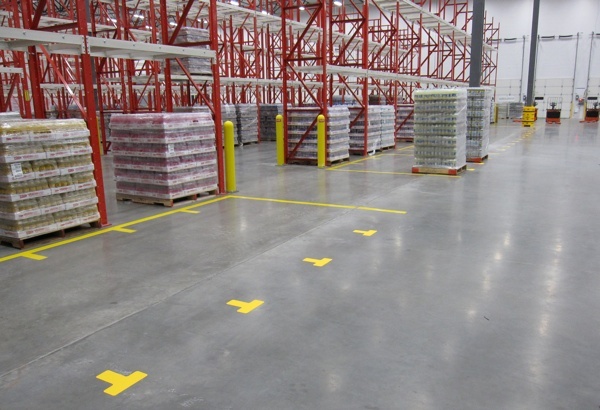 Is your warehouse in need of reliable concrete floor coating contractors who can produce top-quality results? Reach out to talk to one of our representatives so we can help find a solution for you today!